While retailers around the world have been stepping up tech innovations to lure shoppers back for well over a decade, the results are largely uneven. Some of the best come from niche brands—like Reformation’s digital dressing rooms, which blend Internet shopping with the “IRL” (In Real Life) experience, for example. Mass retailers like Ikea use augmented reality to help shoppers envision new living spaces, as does online rival Wayfair. And Sephora, which continues to be one of the strongest experimenters, continues to raise the bar for beauty everywhere: Estee Lauder just announced it’s rolling out the AR capability across all channels, directly on its product pages. But tech-integrated shopping still hasn’t gone mainstream, with most aimed at younger tech-loving shoppers. Lowe’s wants to change that. It recently launched in-store navigation with AR, the Lowe’s Vision app, using AR with Google’s Tango. 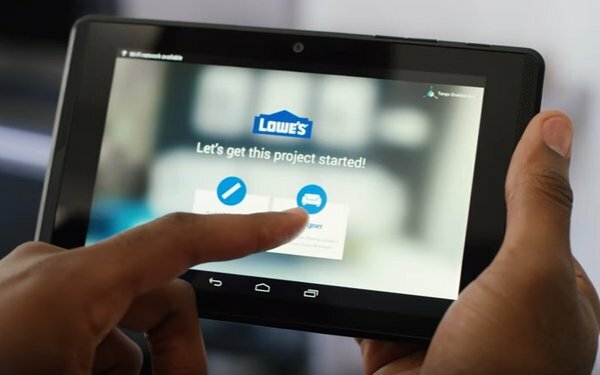 Marketing Daily caught up with Kyle Nel, executive director of Lowe's Innovation Labs at Lowe's Home Improvement, to ask about the brand’s progress in bringing tech to Middle America. Lowe’s has been very active in tech innovation, from the Holoroom to its in-store LoweBots. How much closer are you getting to the mainstream shopper? We’ve been working in this space for several years now and it’s evident to us that technologies like Tango are making AR/VR experiences more accessible and intuitive than ever before. In our testing of Lowe’s Vision, and in talking with customers, we know these experiences are going to transform retail. It’s simply a matter of getting the technology into people’s hands and building tools that will make them want to come back for more. So you think tools like Vision, which turns your home into a sort of dollhouse that you can fill with virtual products, will appeal to all DIY audiences? Many people think only young people are interested in augmented and virtual reality. But if done correctly, there are great applications for businesses to reach all consumers. Many brands use tech in a way that feels more like a marketing stunt (“Aren’t we a cool store!”) than a helpful tool for shoppers. Your projects are more practical, like measuring rooms and sizing appliances. Is this a case of you leading consumers? Or the reverse? At Lowe’s Innovation Labs, we take a narrative-driven approach to innovation – that is, we start with a story that enables us to envision a possible future state, then work backward to build it. So, while customers may not be explicitly asking for the technology we’re creating, we start with customers’ needs and preferences. Eventually, customers may seek out these experiences, but we aim to be a few steps ahead of them by proactively mapping out the ideal convergence of people and tech. What’s the holy grail of VR in retail at the moment? For VR in general, it’s high-quality content. As experiences improve, customers are becoming more demanding of the fidelity of the experience – anything less than “real” is sub-par.